After reading the first book with DI Lottie Parker, I couldn't wait to read the next installment in this series. I was so thrilled to have found a new series with the potential to become a new favorite of mine. 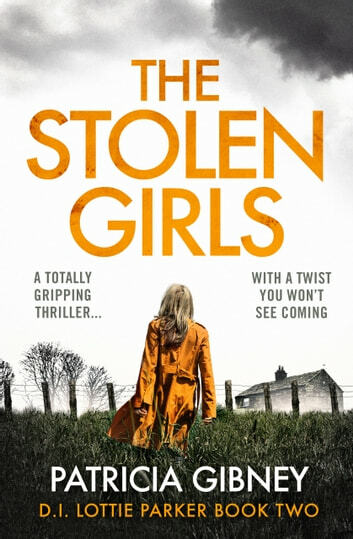 When I finally got my hand on the brand new novel "The Stolen Girls" I was really excited and my hopes where so high, that I was a little scared the book might not be able to reach up to my expectations. But boy, was I wrong. Just like book #1, I was pulled into the story and couldn't put the book down. And just like the first book I asked myself, how much of what I was reading might be true. I like the character of Lottie so much. She represents single moms and shows the difficulties to manage, job, family and the possibility of a new love life. And, like anyone else, Lottie has flows. This makes her so normal and real. Reading about the was in Kosovo was tough at times. Little girls being raped, dads committing suicide and orphaned little boys trying to survive in a world nobody knows who is friend or enemy. I cried and my heart went out to the many people being victims of this crime. And then coming to a new country, trying to build a new life, but being treated like criminals. Again. That is so wrong. 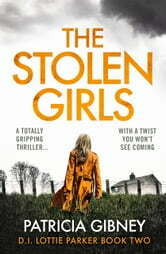 The case about the stolen girls is greatly plotted and the outlining of police work is easy to follow. And I still want Lottie to get it on with her partner Boyd. I think they would make a great match. But with his ex back in Ireland things are not getting easier for them. I chose to read this book and all opinions in this review are my own and completely unbiased. Thanks to NetGalley and Bookouture! Most excellent read! If you enjoy being literally sucked into a story, then this mystery, thriller, page turner is for you. Love you Lottie! please give Boyd a chance! An okay read but not as good as The Missing Ones. Seemed to be totally illogical and really not plausible at times. Disappointed as I enjoyed the first book.